Contemporary Narrow Stainless Steel Bracelet by Laguna Pueblo Award-Winning Artist Pat Pruitt. 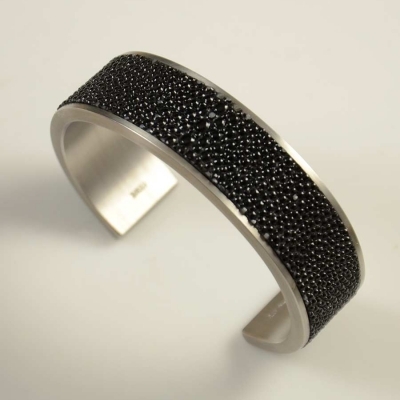 Contemporary Stainless Steel and Stingray Bracelet by award-winning artist Pat Pruitt. Beautiful Multi Stone Inlaid Ring by Navajo/San Filipe artist, Bryan Tom. 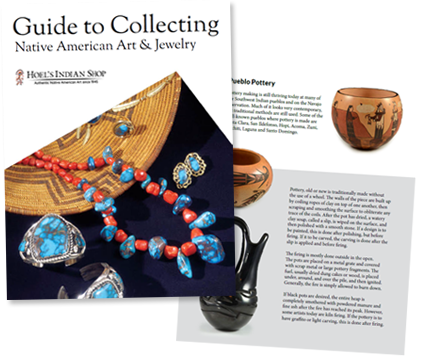 Stunning 18kt Gold Pendant was handmade by Master Hopi Jeweler, Charles Loloma.